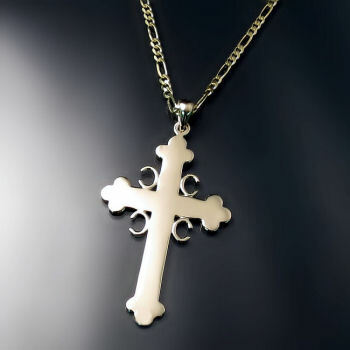 Shop Serbian Jewelry and Orthodox crosses. 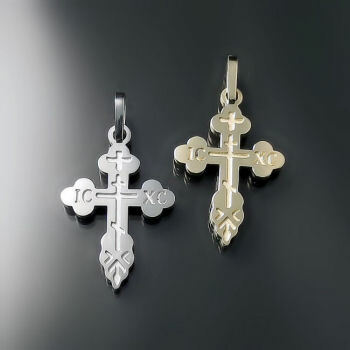 We sell Serbian cross pendants, as well as a Baptismal Russian, Greek and Ukrainian Orthodox crosses for children and adults. Also available are Serbian Eagle rings and Serbian Coat of Arms pendants. Prodajemo Srpski nakit i pravoslavne krstove. Ako trazite Pravoslavni krst ili krstice za decu posetite nas online shop. Takodje mozete da narucite Srpski prsten ili privezak sa Srpskim grbom. 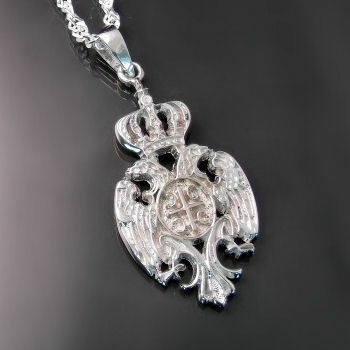 Zoran Designs is your source for Serbian and Orthodox jewellery. Our selection of Serbian Orthodox crosses includes classic styles such as the traditional 4 Cs Serbian cross as well as some unique and modern designs. Also available are gold Orthodox crosses suitable for Orthodox Christians of any background including Ukrainian, Greek, Romanian, Bulgarian, and Russian. 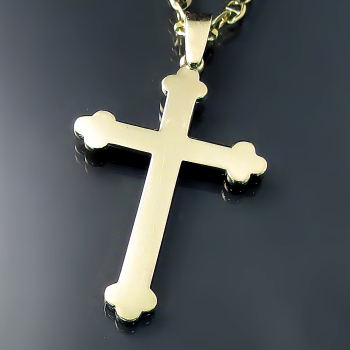 Our plain Orthodox cross is incredibly popular and comes in several sizes. 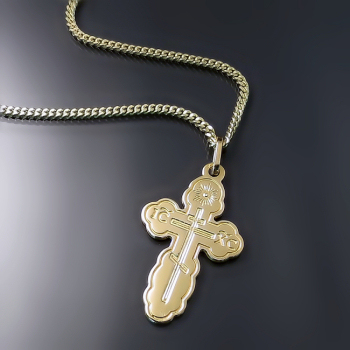 We also offer the St.Olga Orthodox cross for those who want a more ornate Orthodox cross design. 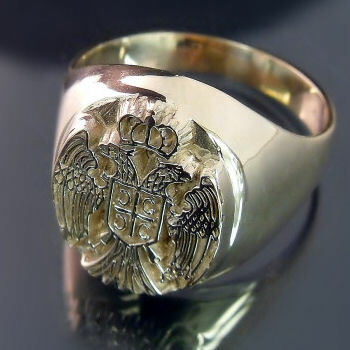 You can also purchase Serbian coat of arms (crest) pendants and rings which are available in Sterling silver and gold. 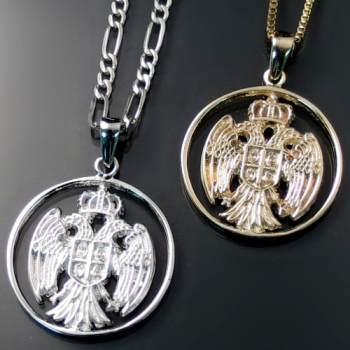 Our Serbian jewellery includes rings and pendants with the Serbian two-headed eagle design. Zoran Designs prodaje kvalitetan Srpski nakit. Mozete kupiti Srpski krst, pravoslavni krst, kao i privezak ili prsten sa Srpskim grbom. Click on an item of interest below for details and pricing. This gold ring features a Serbian Orthodox cross and would be suitable as a men's Serbian wedding band. View all specs and pricing in our online shop. We are fluent in English and Serbian. Ako ne razumete Engleski mozete nam se obratiti na Srpskom preko email-a ili pozovite nas telefonom (+)1-905-522-2214.